I wore this at a baptism and baby shower. I found this skirt at Value Village on one of their 50% off days...my favorite. I always receive inspiration from magazines, people, other bloggers. And I saw this girl in a magazine wearing a grey shirt with a printed skirt and said hey I have that and thought it was brilliant combo. So that was the inspiration of this outfit. the end. 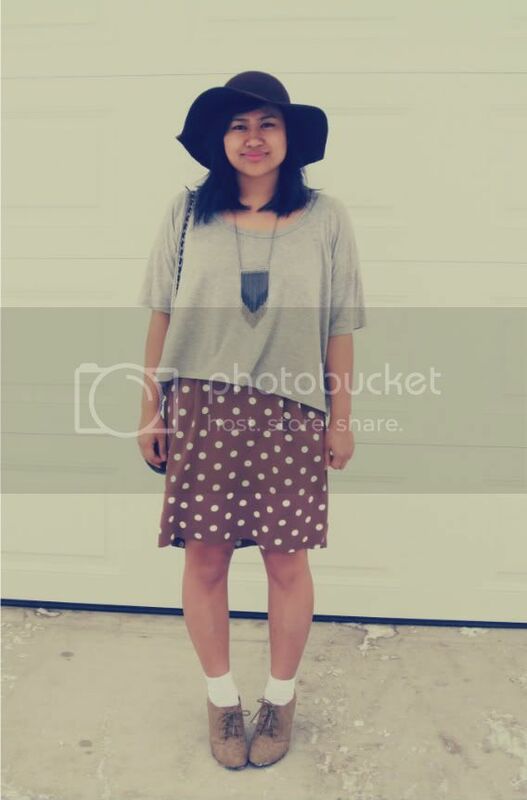 I love the hat and shoes :) I've been really wanting a floppy hat like this but wondering how to style it...love how you did! sherri i am loving your blog! so happy i found it,thank you for your sweet comment on my blog- i cant wait to see more of your fashion here! 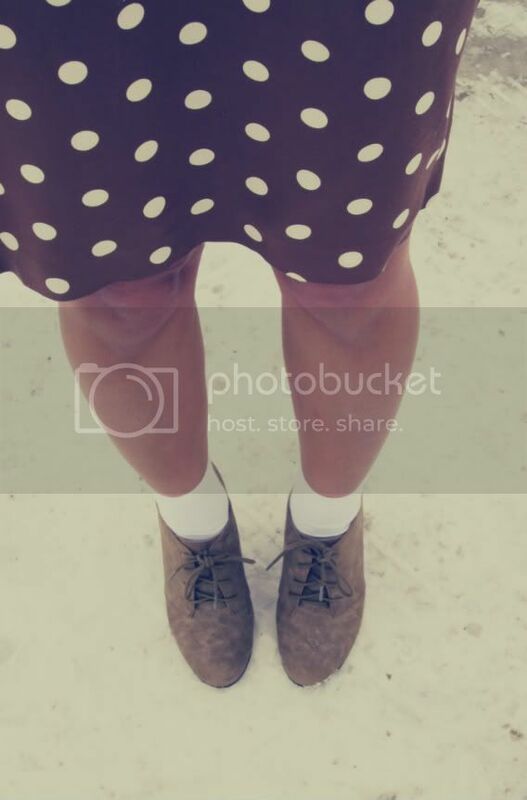 dots, yes! and seriously, you are just absolutely stunning girl! 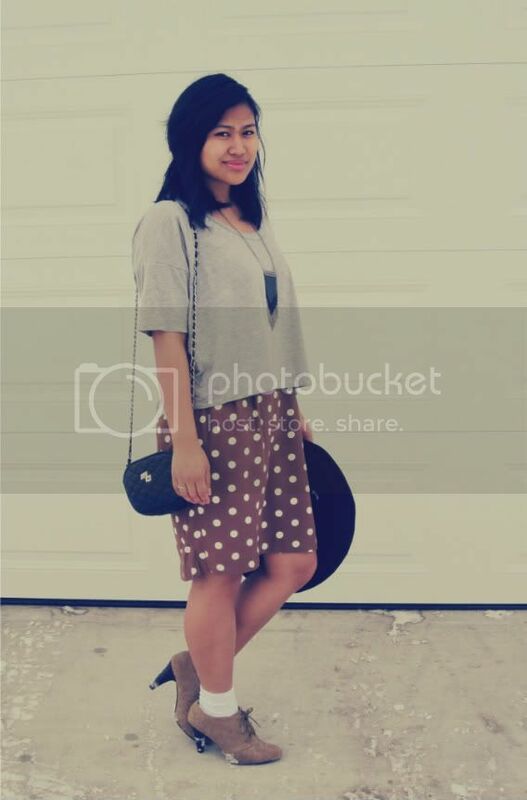 i love dots...so i love that skirt!You look pretty and taht hat is"waow"! I fancy this look! this hat is so beautiful and the skirt looks perfect! Love the socks with shoes, looks stylish for me! I'm so glad to find a Filipina (I'm assuming) and a Winnipegger. 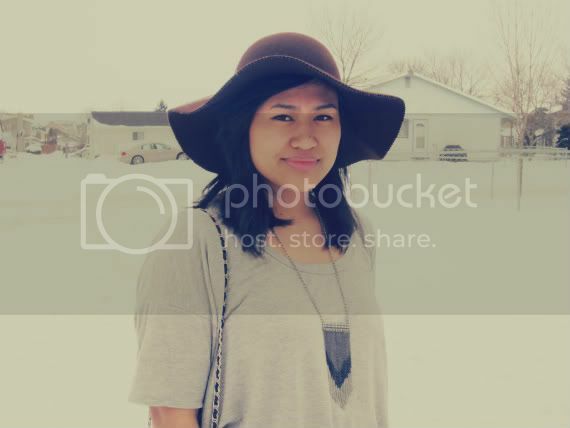 I'm Filipina and a Winnipegger too - I'm not Mormon, but I do like modest fashion! Right on.